Cut the potatoes into small cubes and boil for eight minutes. Drain, cool and push through a fine metal sieve to mash. Mix well with the flour, soda, yoghurt and a pinch of salt and put into a piping bag. Stir the horseradish into the creme fraiche and season with a little salt and pepper. Set aside. Heat a sauté pan with the oil and pipe in small amounts of the batter. Cook until bubbling on the top and carefully flip over. Cook the other side until golden and put on a plate lined with kitchen towel. Repeat until you have used the batter. 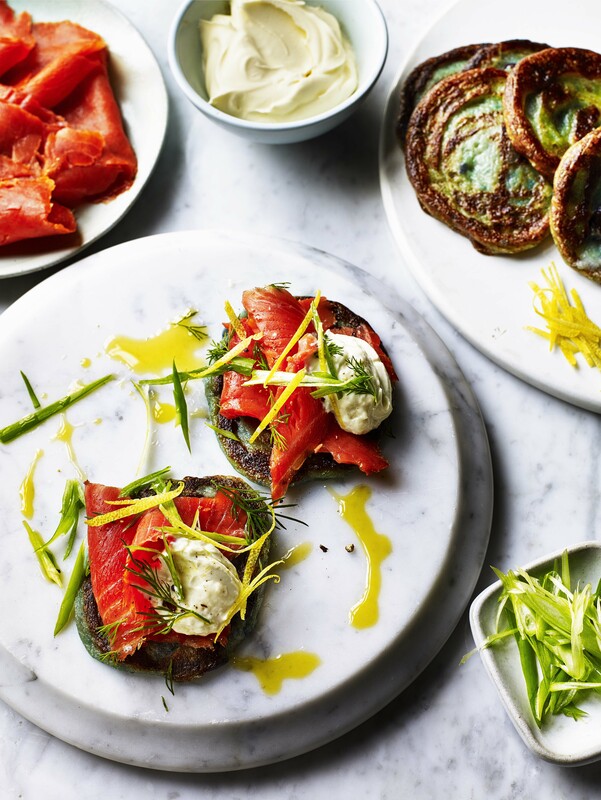 Top each blini with a teaspoon of the horseradish mixture, and a little smoked salmon. Add the keta to each and serve with sliced spring onion and lemon zest if you like. Looking for a healthy lunch meal to bring into work? Look no further as this potato and courgette recipe gives you all the nutrients you need to get through the day. Serve up something deliciously different for your guests this party season. These Indian street food snacks are really aromatic and satisfying. Why not put the leftovers from your roast chicken to use? This is a really tasty dish that can be frozen and brought out whenever you need a warming boost. This creamy, aromatic curry is a really comforting dish that is simple to prepare but perfectly satisfying.